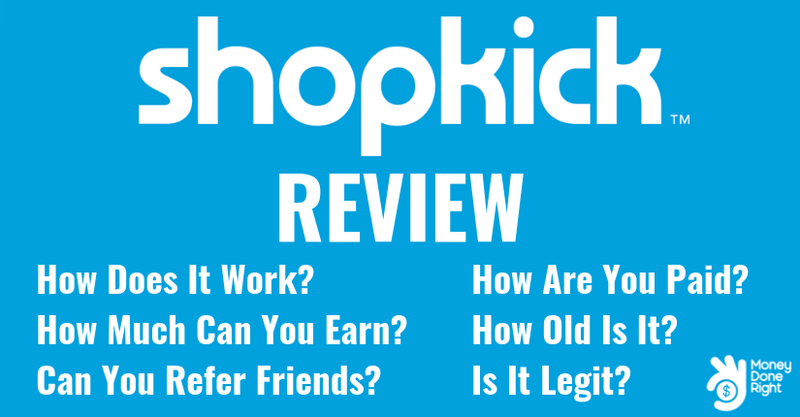 Shopkick Review 2019: Is Shopkick Legit or a Scam? Shopkick has been around for quite a long time, giving the users the opportunity to earn gift cards by shopping at their favorite stores. What makes Shopkick unique is the fact that you can earn rewards for the shopping you do in stores, not only online. You can earn points just by walking into stores, scanning items, or doing your everyday shopping. Our Shopkick review will walk you through how Shopkick works, how you can earn on Shopkick, and why you should sign up for it today. Founded in 2009, Shopkick has grown to become one of the most popular cash-back sites in the world. Since it was founded, Shopkick has paid out almost $80 million in gift cards and rewards, and that number is growing every day. You’ll be able to earn at home and on the go with the website and mobile app. Shopkick partners with thousands of popular stores and restaurants to provide you with lucrative offers that you can redeem on the site. By going to specific stores, scanning items, and making purchases online or in the store, you’ll earn rewards points. Signing up for Shopkick takes just a few minutes, and is completely free. Once you sign up, you’ll be able to start earning points that you can use toward gift cards in the Shopkick rewards store. You’ll then have the opportunity to browse all of the current gift card offers that Shopkick has available. Choosing a gift card offer will show you how many points are needed to redeem the offer. You can select your gift card preference at any time. The gift card values will vary, as well the number of points you need to get to redeem the gift card offer. When you select offers and complete the tasks required to redeem those offers, you’ll get points deposited into your Shopkick account. These points are called kicks, and you’ll use these to redeem great prizes in the Shopkick store. There are multiple ways to earn points, which we will review in detail later in this article. You can enter stores that have offers, scan certain items on the Shopkick app, or shop in-store or online to receive points. Companies are willing to pay you to complete these activities because they value consumer opinion and want insights into shopping trends. Shopkick partners with countless companies to provide a fun, interactive platform that pays users for completing tasks that can then be analyzed by Shopkick’s partners. By signing up for Shopkick and completing offers, from shopping in-store to watching videos, you directly impact the way that companies think about marketing, price products, and interact with customers. While it might not seem like it when you’re scanning items or walking into stores, Shopkick lets you influence some of the biggest companies in the world, all while earning great rewards. Signing up for Shopkick is free, simple, and takes just a few minutes. You’ll enter some basic personal information about yourself as part of the signup process, but you’ll never be required to enter sensitive personal information such as your debit or credit card information. While linking a card to Shopkick will earn you more points, you’re never required to enter that information in order to use the site and earn points in other ways. As part of the signup process, you’ll have the chance to refer your friends and family to Shopkick. You don’t have to enter their information during the signup process and you can always refer them later. For every referral that signs up and completes an in-store action, you’ll earn 250 points. After referring your friends and family, you’ll be taken to the main Shopkick page where you can browse offers and select the offers you’re most interested in. As we mentioned, there are a few ways to earn in the Shopkick app or on the desktop site. The first way to earn is through Shopkick walk-ins. 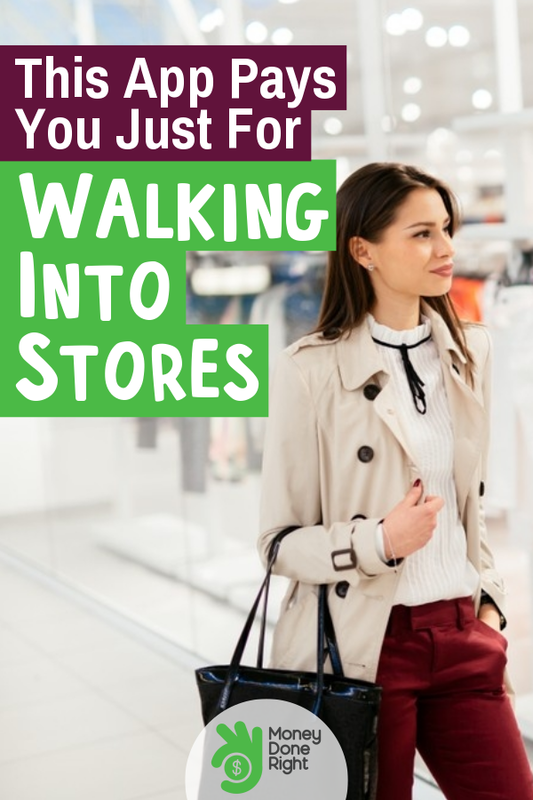 Just by walking into a store that has a walk-in offer, you’ll earn points. You’ll need to select the offer in the Shopkick app, make sure that your GPS is turned on, and the points will automatically deposit into your Shopkick account as soon as the app recognizes you’re in that store. You can even earn points for visiting specific stores online, meaning you don’t even need to leave your house or make a purchase to earn points on Shopkick. When the app recognizes that you’re in the store, there may be additional opportunities to earn points simply by scanning items in the store. The app may require you to scan specific items or simply any items when you’re at the store, or you may have the option to view specific products online to earn points. When you are scanning, the Shopkick app will open your camera to capture the barcode, which is how the app determines that you’ve completed the scanning task. You can earn points just by walking in and scanning products at certain stores, without needing to purchase anything. However, if you do decide to make a purchase, you can earn points from your in-store and online purchases as well. There are two ways to validate your purchases when you shop. First, you can link your debit or credit card to Shopkick. When you do, Shopkick will automatically track your purchases and apply points to your account for your eligible purchases. If you don’t want to link your card information to the Shopkick site, you can also upload a picture of your receipt for verification. This process takes longer to verify the purchase and apply your points, but it’s a great option if you’re not interested in linking your card information. The final way to earn points through Shopkick is by watching videos from Shopkick partners. For any online activities that earn points, you will need to complete the activity through the Shopkick app. Whether that’s visiting a specific site, checking out product offers, or watching videos, if you don’t do it through the Shopkick app you won’t earn points for completing the tasks. As you can see, there are plenty of ways to earn on the Shopkick site or app. The most exciting part about Shopkick is the digital store that you’re able to browse before making a purchase with your points. The rewards update regularly, so be sure to check the store frequently to find just what you’re looking for. You’ll see a wide range of Shopkick reward levels to choose from, with some rewards costing only a few hundred points and others costing well over a million points. While most of the rewards are gift cards, you’ll also find very fun and interesting rewards that you can use your points to purchase. Shopkick partners with some of the top companies in the world to provide you with a robust selection of gift cards. You’ll find gift card options for Amazon, Target, Walmart, Starbucks, and so much more. Unlike some sites, these gift cards are all digital, meaning you don’t have to wait weeks for your gift cards to arrive in the mail. After redeeming your points in the Shopkick rewards store, you’ll receive digital gift cards right to your inbox within just a few days. Everyone loves being able to earn rewards on the go, and the Shopkick app makes it incredibly easy. You’ll be able to sign up completely through the app, or you can use it solely for your walk-in and scanning tasks. However you want to use it, the Shopkick app is easy to use and is very intuitive. You can browse offers, select the offers you’re interested in, scan items, upload receipts, check your points balance, and redeem your points for rewards all through the app. If you’re watching videos, scanning items, visiting online stores, or viewing products online, you’ll need to make sure that you complete those tasks in the app or directly through the website in order to receive your points. The app makes earning rewards easier than ever, and is available on both Apple and Android devices. With so many ways to earn points through Shopkick, it’s completely safe and legit. You don’t have to enter your personal information if you don’t want to, and there are still plenty of ways to earn points when you don’t link your debit or credit card. Verifying your purchases is easy, and you don’t even need to make purchases to earn points. Walk-ins are great opportunities to earn points, and there are tons of items that Shopkick needs scanned, meaning you can earn for scanning the items you’re looking for. What really makes Shopkick great is that it is completely free. There are some rewards programs out there that require you to pay money in order to earn points or get discounts. Shopkick is completely free to use, regardless of how you use it. You’ll never be required to disclose your sensitive personal information and you’ll never be charged for using Shopkick. There are tons of gift cards to choose from, meaning Shopkick partners with countless stores and restaurants to provide consumers with fun and exciting gift card offers. We love Shopkick because it rewards us for the things we are already doing every day. We always want to provide you with all the information you need to decide if you want to sign up for Shopkick or not. It’s tough to find cons to Shopkick because it’s such a well-developed program. The tasks are fun, there are plenty of offers to choose from, and there’s truly something for everyone with Shopkick. If you’re looking to earn gift cards for the things you do every day, either in-stores or online, you should always start with Shopkick. For almost 10 years, Shopkick has been providing consumers with awesome rewards opportunities, from walk-ins to purchases. It’s hard to find companies like Shopkick that offer rewards for both in-store and online purchases. With so much focus on digital and online shopping, it’s nice to see a company rewarding consumers for shopping in stores as well. Whether you’re looking for a new way to earn with your shopping or you’re just getting started with learning how to earn when you shop, sign up for Shopkick today.